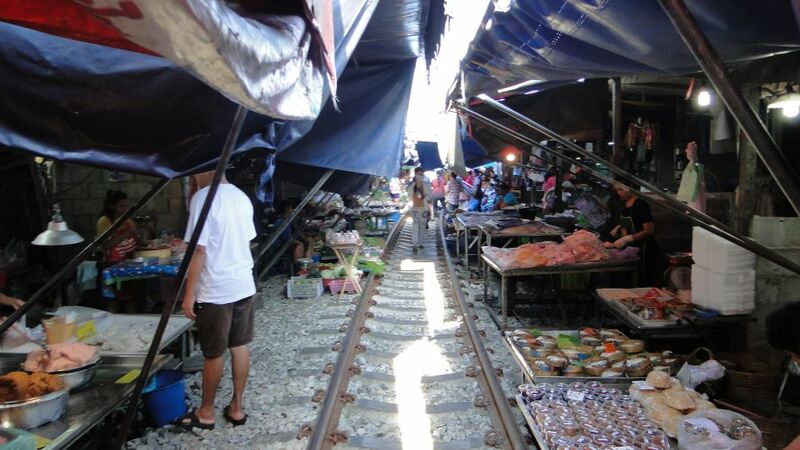 Maeklong railway market is famous for when sellers rush to fold the roof over their stalls and pack up their goods every time a train passes through. 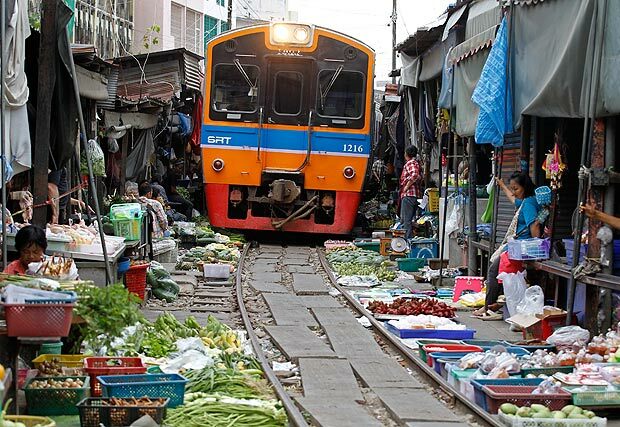 This is how it looks like when the train wasn't passing through! 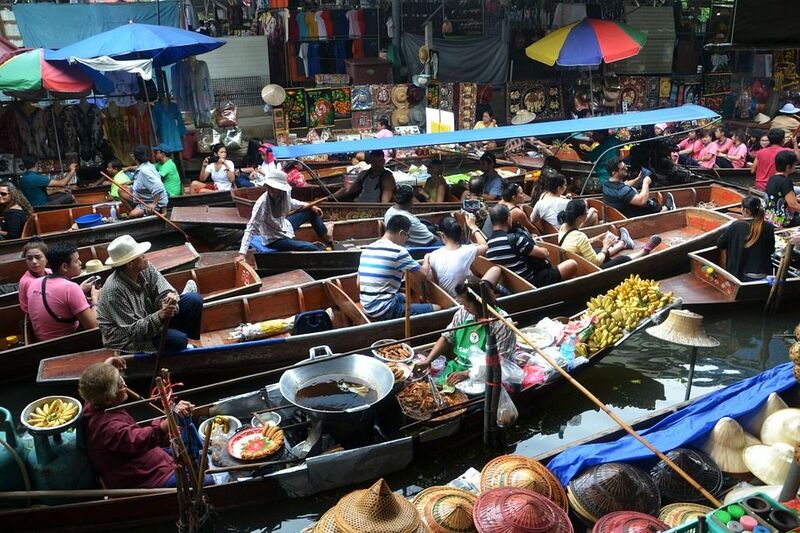 Amphawa Floating Marketing is also well known for its delicacies sold by locals on paddle boats. 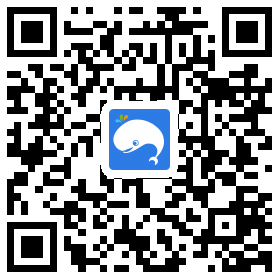 Try the famous original boat noodles here!